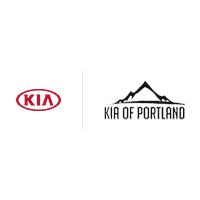 During your Kia ownership you may need to replace a part and when that happens we recommend using Kia Genuine Parts. Kia Genuine Parts are engineered to precise and exact standards by Kia, matching the original specification of the vehicle. Non-genuine parts can sometimes be less reliable leading to more frequent replacement and labor costs. This may compromise the performance of your Kia, and may also invalidate your warranty. Kia Genuine Parts are available from Cars International Aftersales Center at competitive prices. And because we also have Kia Trained Technicians with the latest diagnostic equipment, you’ll be sure to get the right part for the job fitted properly. Every Kia driver is unique, which is why we’ve designed a wide range of additional features and car accessories to make your Kia truly your own. Simply choose a model below to discover and select from a range of Kia accessories which are most suited to your needs; including functional, aesthetic and practical accessories for your Kia.